Why not consider becoming a coffee expert? For those that work in the food and beverage industry and are looking to expand their skill set, why not consider becoming a coffee expert. We at Amavida Coffee Roasters are always excited to share our knowledge and help grow the specialty coffee community. 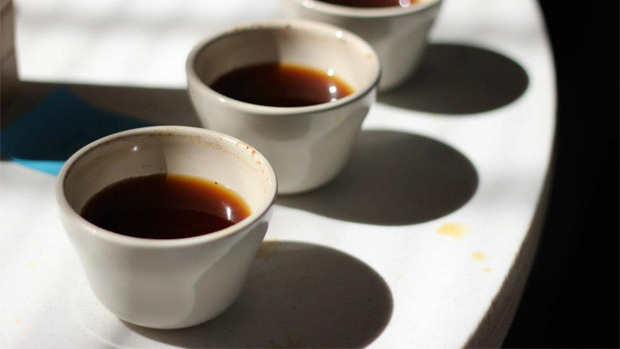 We invite you to learn and understand how coffee is grown, traded, processed, roasted and the protocols for evaluating coffee flavors, during our coffee cupping training. At this event, you will learn the “coffee cupping” (an industry term for evaluating coffee) terminologies from our best offerings and walk away with a new appreciation of this craft. The sessions take approximately two hours. Contact us for an event calendar or to set up an appointment. Members of our Amavida Culinary Professional Program will also receive special offerings and discounts on coffee purchases. We’ll teach you to make your coffee shine! Note: If you would like to do a little reading and research beforehand, please visit the Specialty Coffee Association website for some basic cupping standards and information.